If your name appears on this list, you're a winner in the 2017 SUPER HUGE Michigan Wine Month Giveaway! Click through to see the full list of winners and read the rules on claiming a prize. Sponsor/Prize: Black Star Farms: A Black Star Farms Experience Package! 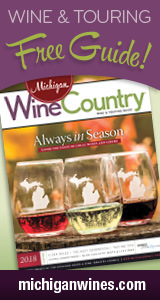 Includes an Estate & Wine Tasting Tour for 2 (valued at $50), $25 in Hearth & Vine Café Dining Dollars, and a $25 Black Star Farms gift card, redeemable at either of Black Star Farms' two Traverse City area tasting rooms or online at BlackStarFarms.com. Sponsor/Prize: Fenn Valley Vineyards & Wine Cellar: Private Wine Tasting Tour for up to 22 people! We believe wine should be approachable. Fenn Valley tours have been designed to help take the mystery out of making world class wine. We aim to strike a balance between education and entertainment. Luckily, the subject matter always keeps things interesting! Our tours are pretty in-depth. They run about 1:45 in length, and involve wine tasting throughout to illustrate the various points being made. Depending on the time of year and weather, the tour will be outside in the vineyards, in the cellar, or a little of both! Winner will need to coordinate their tour with the winery on a mutually agreeable date. Sponsor/Prize: French Valley Vineyards: Tasting for four people, four logo glasses, and a 1¢ bottle of Jezebel wine. 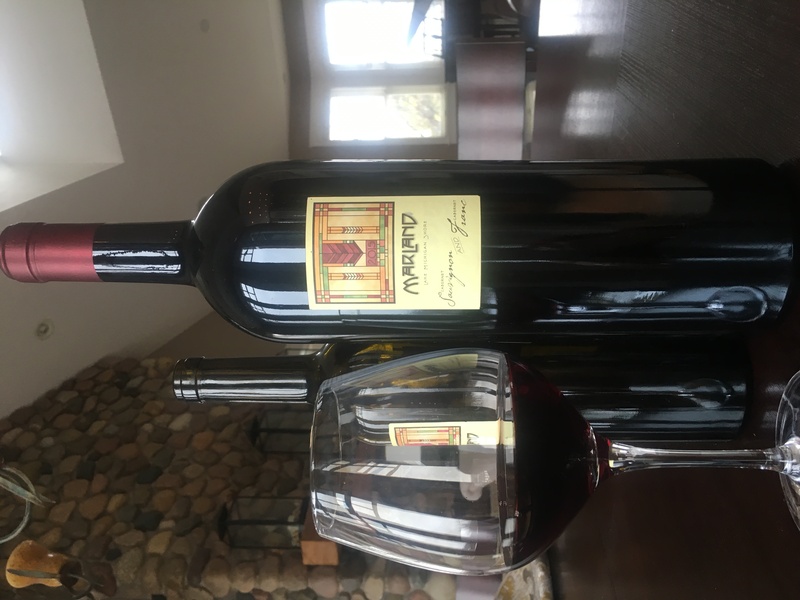 Must redeem in person at French Valley Vineyards on Leelanau Peninsula. Sponsor/Prize: Willow Vineyards: TWO WINNERS TODAY! Each winner will receive two logo glasses, a free tasting and a cheese plate. Sponsor/Prize: Dablon Winery & Vineyard: Vineyard tour and wine tasting for two people at Dablon in Baroda. Must be arranged at a mutually agreeable time. Sponsor/Prize: Laurentide Winery: Laurentide vineyard tour for four people! The winner and his/her guests will accompany Laurentide's owner to the vineyards for a one-hour tour. After the tour, the group will be invited to enjoy a complimentary tasting in complimentary Laurentide logo glasses at the tasting room. Tour must be arranged on a mutually acceptable date/time during the current growing season. Offer expires 12/31/17. Sponsor/Prize: Resort Pike Cidery & Winery: Free tastings for two with the winemaker + 25% off any purchase at Resort Pike, which opens July 1 in Petoskey! Winner will need to coordinate visit with Winemaker Matt Killman. Sponsor/Prize: Lazy Ballerina Winery: FREE wine tasting for up to six people — which includes five separate 1 oz samples, a chocolate from Patricia's Chocolate and a souvenir wine glass per person — at Lazy Ballerina in St. Joseph. Sponsor/Prize: Hawthorne Vineyards: Recycled wine bottle candle crafted from a Hawthorne wine bottle. Will ship to winner. 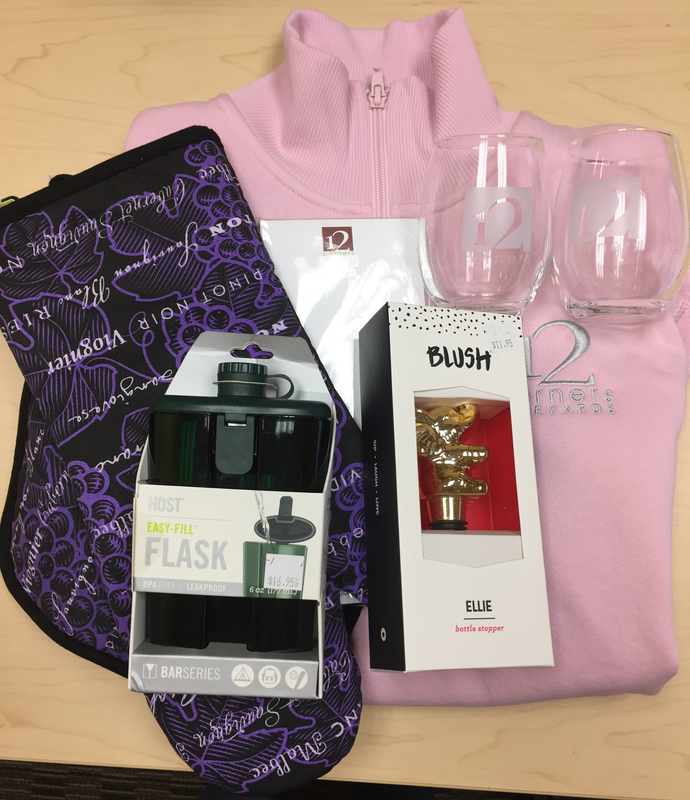 Sponsor/Prize: Chateau Grand Traverse: A "Wines of the Great Outdoors" package, which includes 1 camping corkscrew multi-tool, 1 camp mug and 1 Great Outdoors hoodie. Will ship to winner. 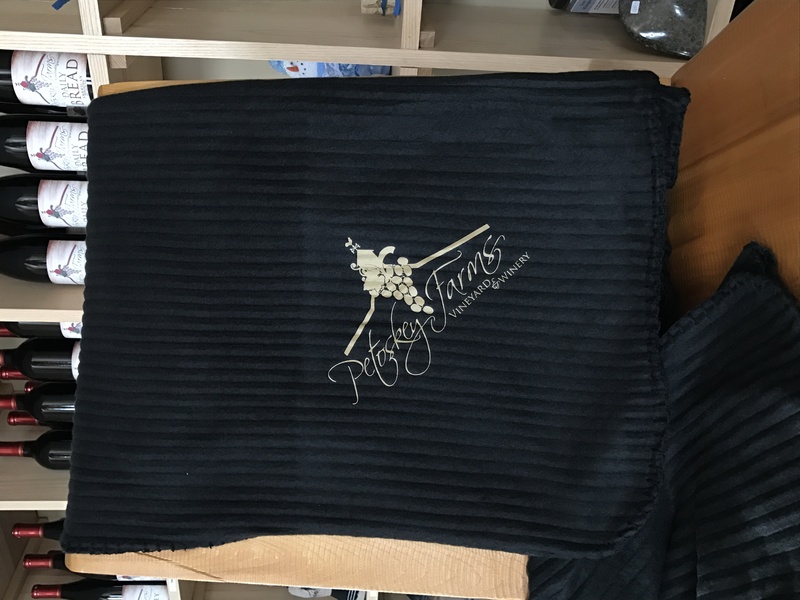 Sponsor/Prize: Shady Lane Cellars: A Shady Lane gift bag: a logo six-bottle carrier with two logo GoVinos and a logo wine key. Will ship to winner. Sponsor/Prize: Brys Estate Vineyard & Winery: VIP pass valid for two guests, which entitles bearer to two souvenir logo glasses, two complimentary wine tastings, a complimentary five-item cheese and charcuterie board and two complimentary glasses of wine — a $55 value! Sponsor/Prize: Virtue Cider: A 765 ML bottle of Lapinette cider (a French-style cidre brut released in the spring) for 1¢, a Lapinette women's T-shirt and a tour and cider tasting experience at Virtue Cider in Fennville for up to six people. Sponsor/Prize: Verterra Winery: SEVEN WINNERS TODAY! Each winner will receive a bundle of either four Verterra Chaos Cider glasses or four Verterra wine lead-free crystal glasses (dealer's choice). Pickup required at their tasting room in Leland. Sponsor/Prize: St. Julian Winery: TWO WINNERS TODAY! 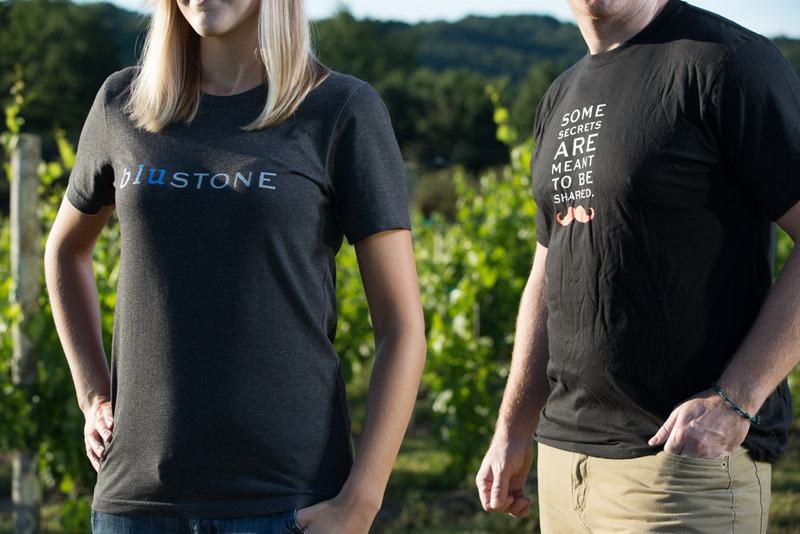 Each winner will receive a VIP Experience at St. Julian, including barrel tasting, tour and an intimate, in-depth education on the winemaking process from bud-break to bottle. 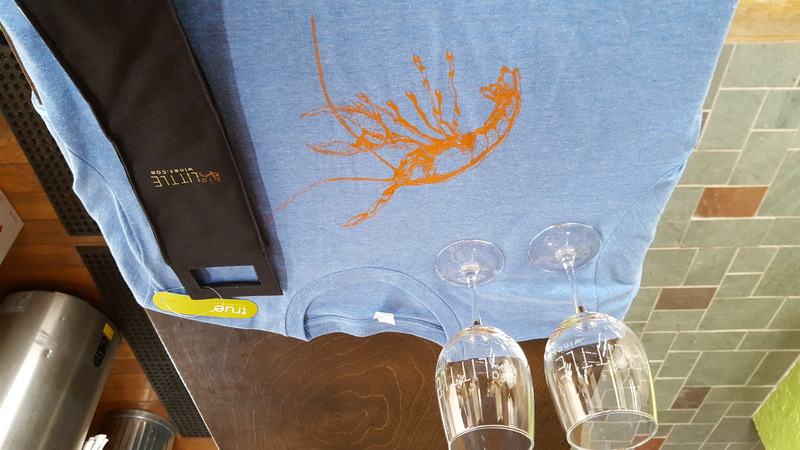 Sponsor/Prize: bigLITTLE Wines: bigLITTLE Prize Pack containing 1 bigLITTLE T-shirt, 1 insulated wine logo tote bag and 2 paid tasting flights. Color, design and size of shirt can be selected by winner from available stock. (Click here for an example.) Prize must be picked up at bigLITTLE's tasting room before the end of their 2017 season (they're open through October). Sponsor/Prize: Westview Orchards Winery: "A Perfectly Peachy Pairing": Two freshly made Westview Orchards peach flips, a bottle of Peach Queen Wine with peachy recipes for 1¢ and a souvenir 11 oz. WOW wine glass. Winner will receive a gift certificate to pick up the prizes at Westview Orchards Winery in Washington Township. Sponsor/Prize: Chateau Chantal: Admission to their NEW Taster’s Lunch Tour! Join Chateau Chantal for a three course lunch-style, educational food and wine pairing experience. Check-in for the lunch will be between 11:45 & noon, with lunch beginning promptly at noon. A tour of the wine cellar will begin promptly at 1pm, focusing on the intricacies of the wine making process. The perfect experience for anyone wishing to expand their wine and food pairing knowledge in a relaxed and fun environment!” Gift certificate mailed to winner. 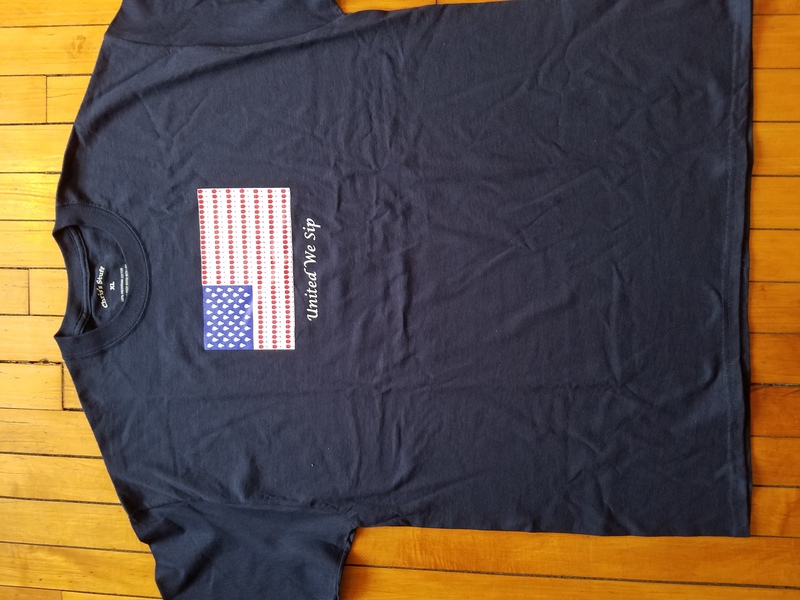 Sponsor/Prize: Pentamere Winery: "United We Sip" wine-themed T-shirt (Click here to view the shirt). Winner must pick up at Pentamere's tasting room in Tecumseh. Sponsor/Prize: Chateau Aeronautique: A private wine tasting for four people, valued at $160, at Chateau Aeronautique's Airpark Tasting Room in Jackson. Sponsor/Prize: Domaine Berrien Cellars: Two tickets ($60 value) to one of DBC's Lunch with a Winemaker sessions. Dates available: June 10, July 15, Aug. 5, Sept. 9 or Oct. 14; must be arranged with winery in advance.